Hp Laptop Repair | Service Center | Service Cost of Laptop Repair - 500rs. Hp Laptop Repair at your door, Hp is a most popular brand. Repairing by own self can create a risk, as Laptop is not easy to open and handle. Search on the Internet for Hp laptop repair, and visit the shop. We provide a free initial check up and do not charge for giving an estimate. Who carry their laptops to our service center. Laptop Services cost @ 500rs. Only. We cover all brand of laptops. How Much Does Laptop Repair Cost? Click Here To Know More. Laptop Screen is Crack/Damage, Repair screen Immediately. Our expert team can cost-effectively find you a cost effective replacement, including installation. Spill liquid on your Hp laptop keyboard. Our Hp repair experts can remove the defective Hp laptop keyboard. Replace it with a new high-quality one. You have a Hp laptop hard disk failure that requires immediate attention? 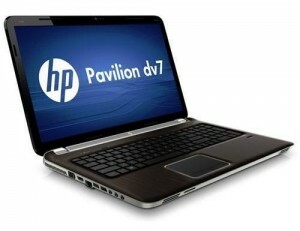 Our Hp Laptop Technicians will take care of it and repair your hard drive. Do you have a broken or non-working Optical device ? do you just want to add a DVD / CD-RW Combo Drive? Blueray drive to your Hp laptop? We have the answer! Shanti laptop Repair provides Hp repairs and replacements for all Hp laptop models. Repair a memory problem on your Hp laptop or simply install more memory. Our Hp repair service engineers are waiting to assist you. Motherboard Repair is often a superior choice to replacement. Our Hp Motherboard Repair Engineers conduct board level repairs and replacement of defective parts on all Hp laptops. Have a Hp laptop with a burned or broken power plug on? Our Hp service engineers will provide a quick cost effective service job on your Hp laptop. We have a top-level Service center. For any query please contact hp laptop repair center, our contact no’s are 022249207713 / 8879192872.